The NAV continues its proud tradition of issuing medallions to commemorate key milestones in Victorian history with the release of its latest issue. 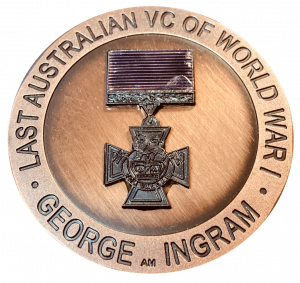 The medallion commemorates the centenary of the awarding of the last Victoria Cross won by an Australian in the Great War, 1914-18. 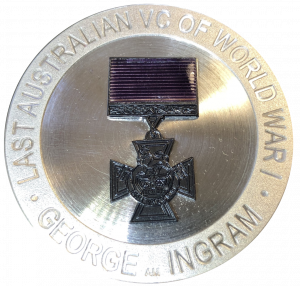 The VC was awarded to Lieutenant George Ingram, of the 24th Batallion AIF, for actions at Montbrehain, France on 5th October 1918. 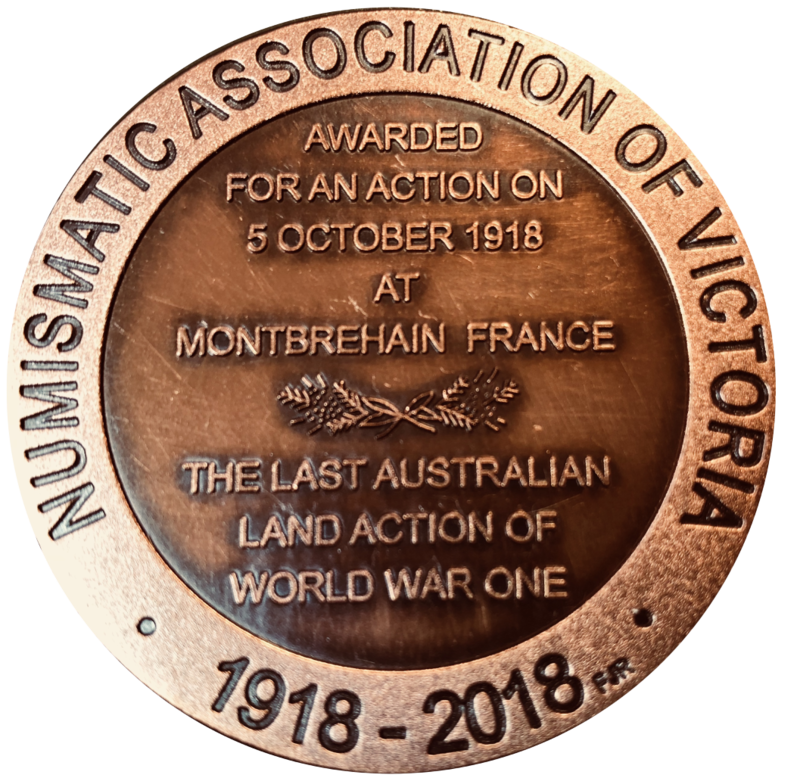 This was the last action fought by Australian infantry during World War I. 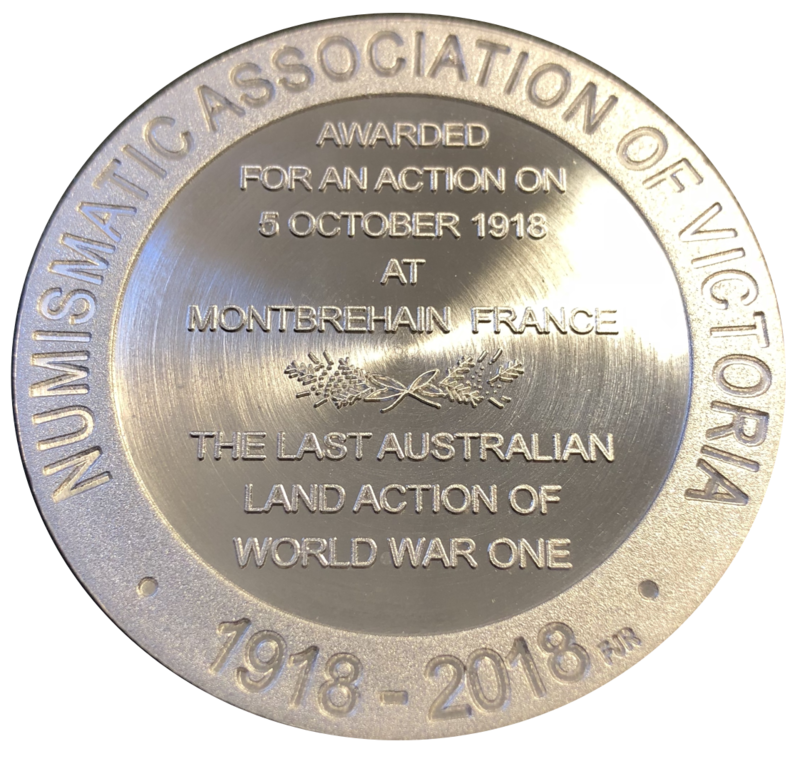 A strictly limited mintage of eighty antique bronze and only twenty .999 fine silver have been made in Australia by the Adelaide Mint, from a design concept by Frank J Robinson and expertly engraved by Ernst Fischer. The obverse of the medallion records “LAST AUSTRALIAN VC OF WORLD WAR I. GEORGE INGRAM” on an incuse surround, with a minature Victoria Cross, which has been separately struck in dark bronze, with the ribbon emblazoned in dark purple vitreous enamel (the colour of the medal and the ribbon), and affixed in the centre. 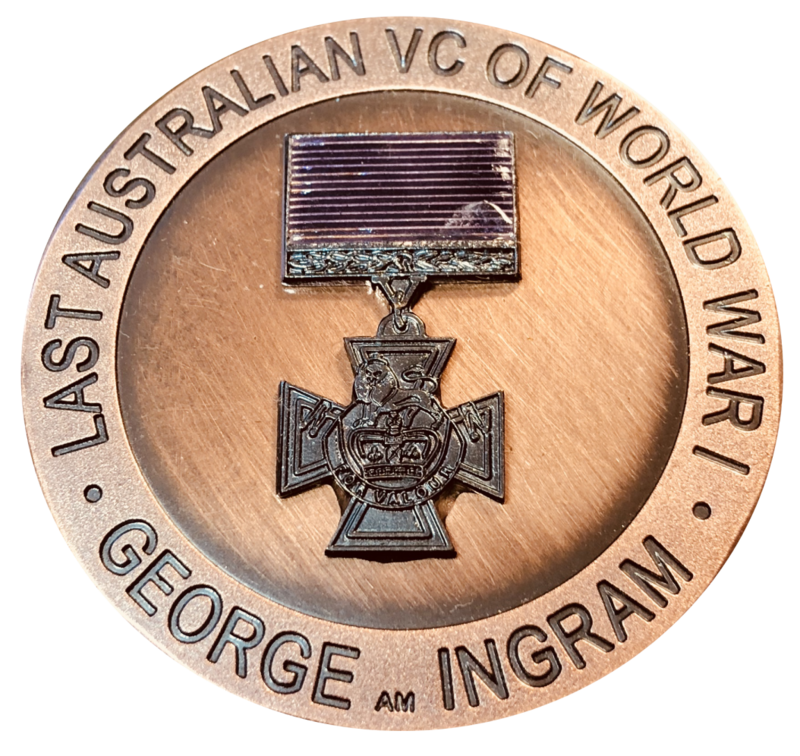 The reverse of the medallion highlights the date and place of the action where George Ingram was awarded the VC and is underscored by a sprig of wattle.